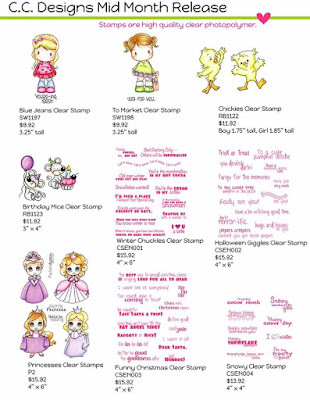 Trinity Rose Designs: CC Designs June New Release Blog Hop! Today is RELEASE DAY for all of our new JUNE products at C.C. Designs!! As you have seen from our Preview Days, all of these products are fabulous! 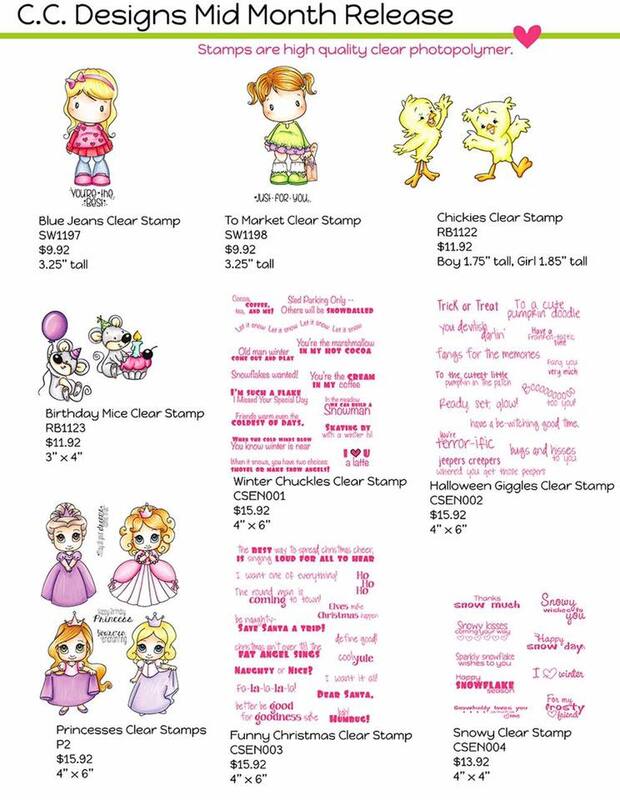 For the month of June, we have 4 adorable character stamp sets, 1 Jumbo Numbers Die, and an awesome Make A Card Summer Die! In addition, we have a Mid-Month Release that is also in the store now featuring 5 different characters and 4 sentiment sets. We'll be doing a BLOG HOP for the Mid-Month Release on Monday, June 13th so be sure to stop back by for a chance at another prize! AND, to make things even more exciting, we have 8 NEW DoveArt Studios Stamps as well!! I'm telling you, there are all sorts of goodies to purchase today!! The DoveArt Studios team is also doing a BLOG HOP for a chance at a prize! Here is the Card I Created for todays Hop! *This Blog Hop will end on Sunday, June 12th at NOON, 12pm EST. Winners will be announced the following week. oh my goodness.....that paper goes Fabulous with that stamp!!!!! So adorable!!!!! 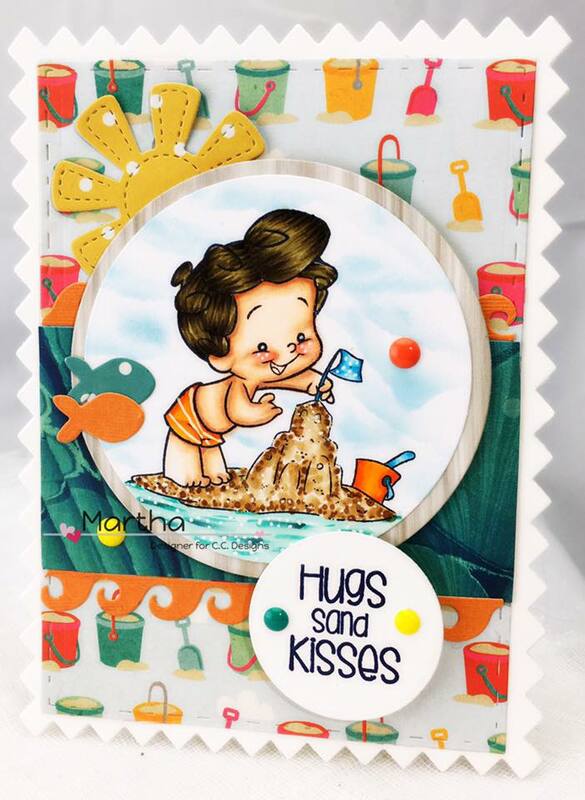 Your Hugs and Kisses card is so adorable! It really fits right in with the stamp. Amazing technique for coloring the sand. I LOVE the paper that you decided to use. 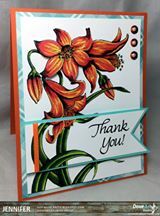 Thank you for sharing the card you created. I LOVE your creations. They always turn out beautifully and are a real eye candy. Well, this card is no different. It is fantastic!!! Love the sandcastle and the cute background paper!! Super super cute card!! I love your coloring and design. New release is just georgeus! !Thanks for the inspiration and sharing!